High quality screen print tee that's easy to style and wear all year but especially perfect for Valentine's Day. 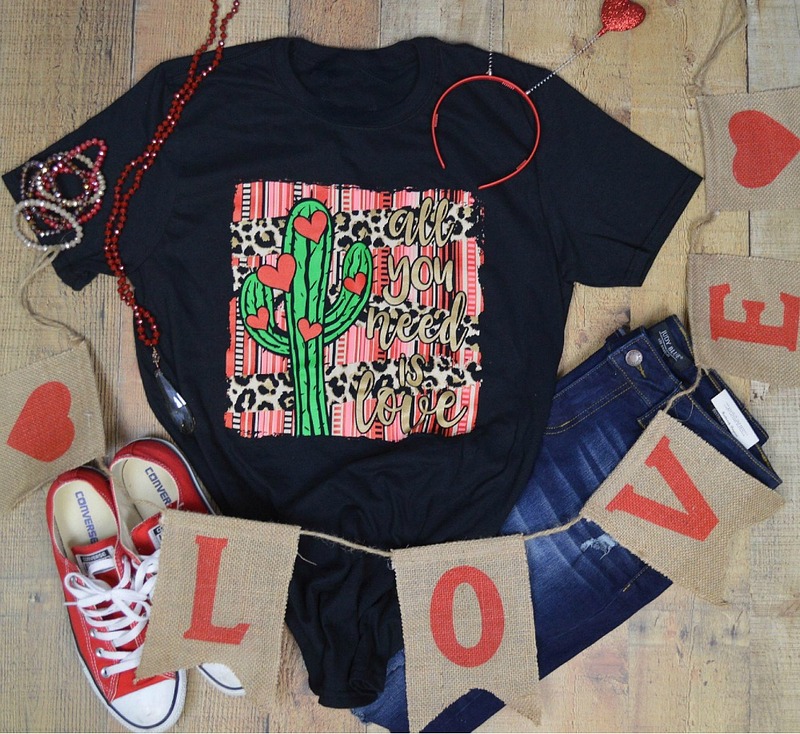 All You Need Is Love in gold foil, trendy leopard print and cactus. Super soft cotton. Also available in Plus Size Fashion. Fabric Imported, Tee and Graphic Made in USA.